Do you have a heart for service but aren’t sure where to start? There are so many wonderful and worthy organizations in the Roanoke Valley that sometimes it can feel overwhelming to determine where your time would be best spent. Time is a valuable asset, and as a full-time working mother of two little girls, every minute of my day counts. So when our company, HAWK Advisers, announced that we were launching a Volunteer Program that allows each employee 4 hours of paid time off to volunteer at the charity of their choice, I could not have been more grateful for the opportunity to give back to our community in this way. For me, it was not hard to decide which charity to help. 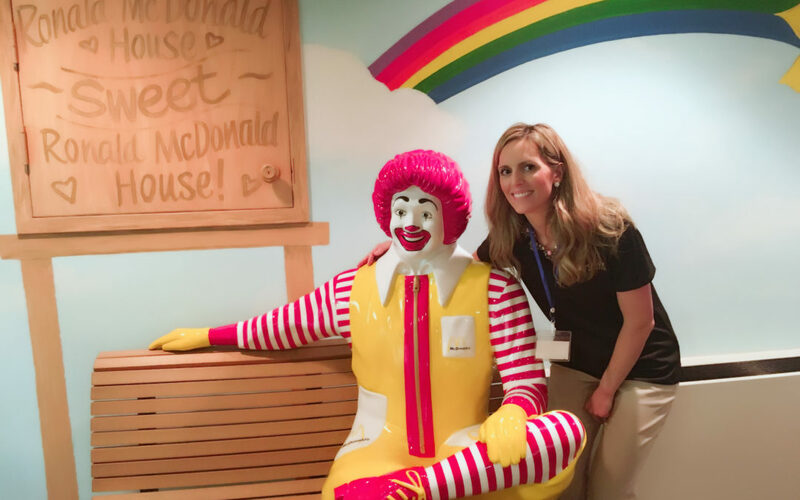 Ronald McDonald House Charities holds a special place in my heart, as they provided a respite of comfort for my husband and me during a very difficult time in 2013. The Ronald McDonald House of Southwest Virginia provides a comfortable and supportive ‘home-away-from-home’ for the families of critically ill children who must leave their communities and come to the Roanoke Area for medical treatment. They serve over 700 families a year, providing lodging and meals for up to 18 families each day. This allows those families to free themselves from the burdens of food and shelter so that they can concentrate on what is most important, their child. The majority of my volunteer hours were spent working on one of RMHC SWVA’s biggest fundraising projects, their Tab Top Program. Aluminum tab tops from soda or soup cans are collected by people from all over the New River Valley and donated to RMHC SWVA, who then recycles them in exchange for money. 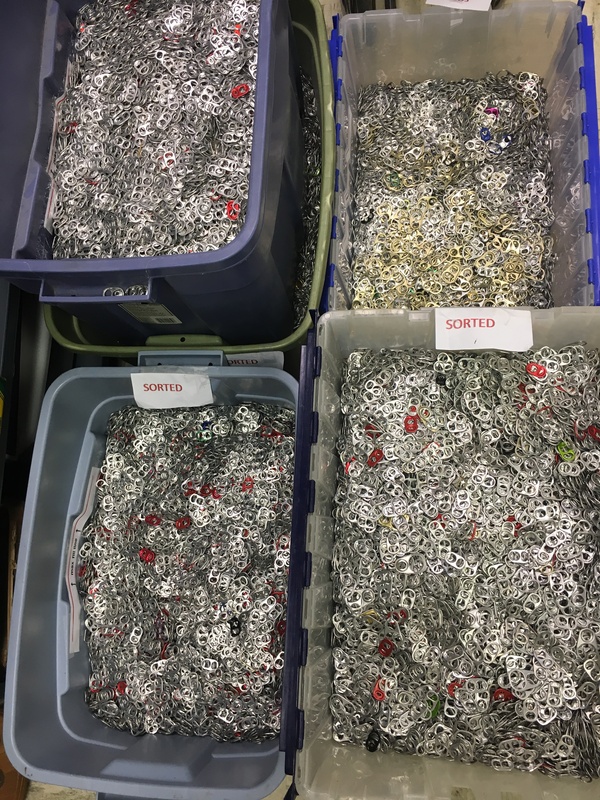 Tab tops must be sorted through to ensure there is no metal or foreign objects mixed in, and then poured into bins so that they can be weighed, as they are paid a monetary amount based on the weight donated. In an average year, over 11,000 people are served by the Roanoke house and it costs approximately $1,600 per day to keep the house in operation. There is no shortage of need for funds to operate the house, and I was happy to help work on a project that will provide revenue to keep the house up and running. As I was leaving for the evening, seeing the volunteers in the kitchen hurriedly preparing a delicious made from scratch chicken casserole dish, and watching the families start to come in from long days spent at the hospital, I left with a smile on my face knowing that no job is too small to make a difference. If you can identify with the cause, or better yet have experienced its blessings first-hand, you can rest assured that your time has been well spent in the big picture of the positive impact that the organization makes on our community. As part of our ongoing commitment to give back to our community, we will continue to support the RMHC SWVA by collecting tab tops in our office. We would encourage you to do the same! This is a wonderful way to give back.